Since its inception, general relativity has been unreceptive to a marriage with the quantum aspects of our universe. Following the ideas of Einstein, one may pursue an approach that allows spacetime itself to take centre stage. The quantum properties of matter are then carried by the dynamics of spacetime shape and connectivity. 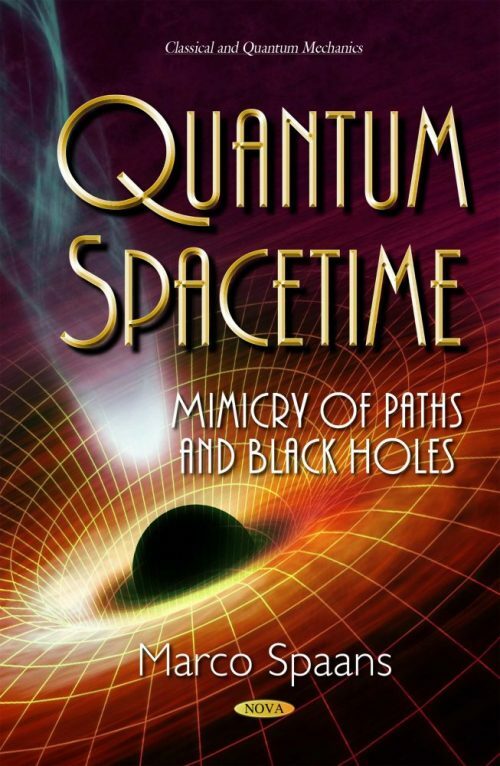 This monograph introduces the reader to the foundations of quantum spacetime in a manner accessible to researchers and students. Likewise, interested laymen that lack a strong background in quantum mechanics or spacetime studies but are keen to learn would find this information worthwhile. It can be shown from the first principles how spacetime is globally built up by paths which constitute entire histories in four dimensions. The central physical idea is that the collective existence of observers and observed derives from one mimicking the other unremittingly, thereby inducing tangible reality. This world of identity by mimicry creates a multitude of interacting histories. Throughout the text, experiments are used to derive physical principles. Obtained results are therefore intuitive and accessible to non-experts. This monograph also discusses consequences of quantum spacetime for black holes, dark energy, inflation, the Higgs boson, and the multiverse. Audience: Professional: undergraduate and graduate students in physics, astronomy and philosophy as well as physics, astronomy and philosophy researchers. Nonprofessional: laymen with a basic background in physics who are keen to understand the nature of quantum spacetime, and who are willing to make an intellectual effort to learn more about our cosmos.